This morning I took the kids to Walmart to buy the gifts they selected for the Christmas for Kids project. As we were driving to the Springs, we got to see one of our favorite things...Air Force cadets parachuting. We spotted about a dozen of them on the way there, and six more on the way home. It's really cool! We live about 5 miles north of the Air Force Academy so we see lots of planes and training gliders, but our favorite is watching the guys parachute. The planes drop about 5-6 guys at a time. The chutes are brightly colored, so we can usually track them on their descent. It's always fun to spot them in the air, and we never get tired of watching them. 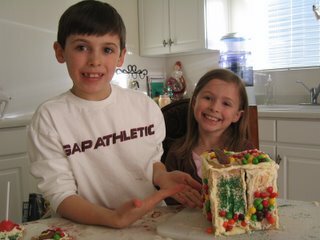 We also attempted to make a gingerbread house today. I've never tried this before, and I can't remember making one as a kid, so I was really at a loss as how to begin. 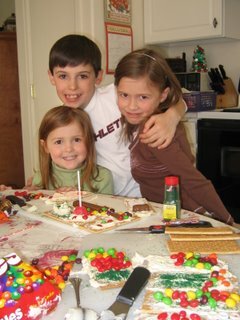 I didn't make gingerbread; we used graham crackers, buttercream icing, and lots of candy. 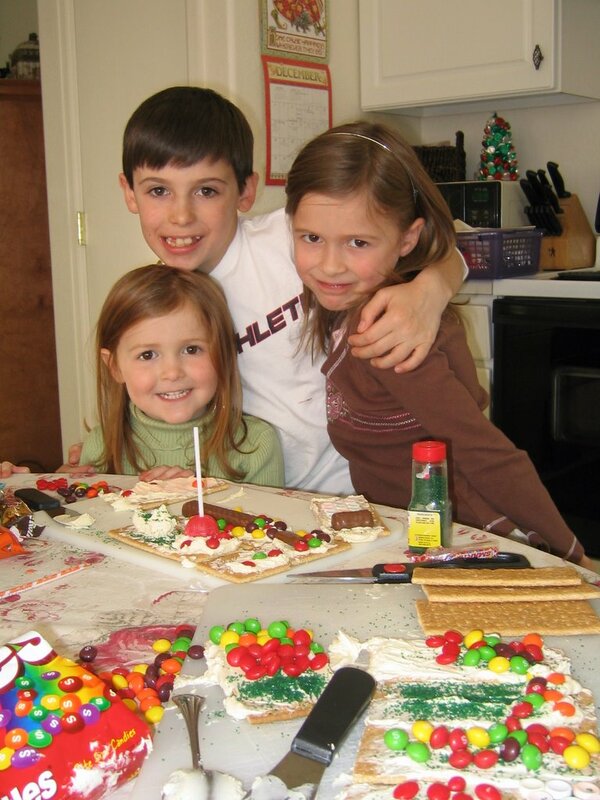 The kids got pretty frustrated and decided to just decorate their graham crackers. My house looked okay until it collapsed. Abbey ate more candy than she decorated with. She is pretty sneaky. She'd glance over at me before popping M&Ms in her mouth...just to see if she might get away with it...and she did, of course. Sarah and Will gave the house another try and were pleased enough with the results to ask me to take a picture for the blog. So...check out their handiwork. John had a nice surprise waiting for him when he got home from REI. 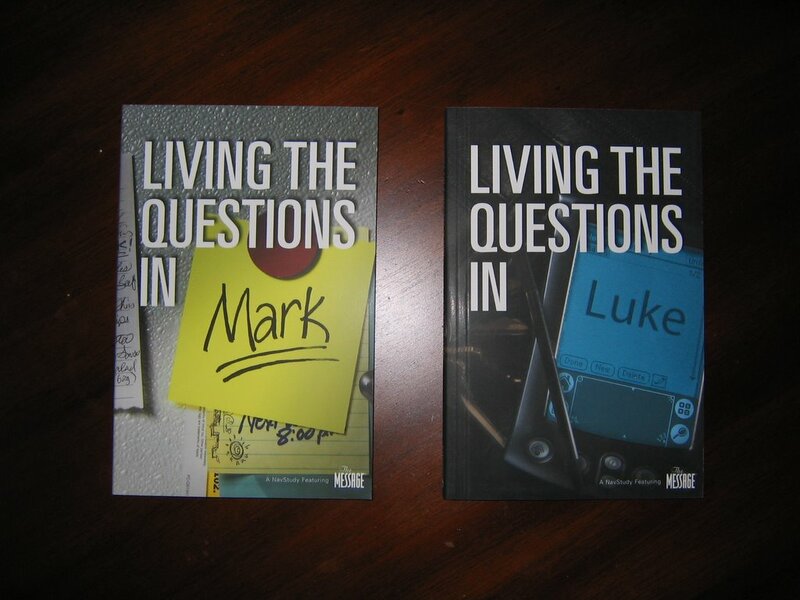 The 3rd and 4th Bible study books he wrote last fall were published recently, and his copies came in the mail today. It's really cool to see the finished product. They look great. 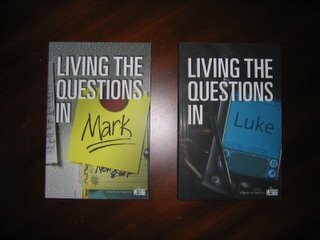 They're titled Living the Questions in Mark and Living the Questions in Luke, and are based on the questions Jesus asked in those gospels. Way to go John. We're really proud of you. John and I are watching It's a Wonderful Life right now. It is such a great movie and one of our all-time favorites. Recently, I found all of our Christmas cards from last year and re-read them. 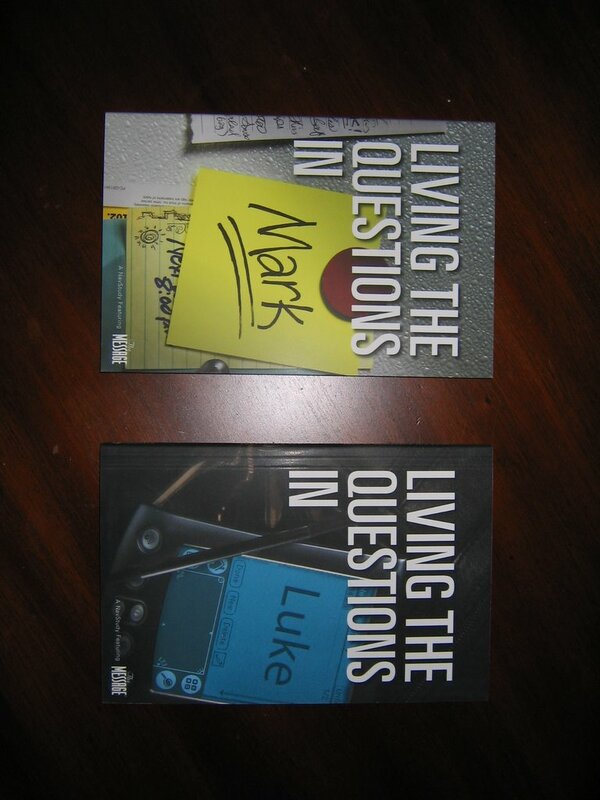 I felt like I had a "George Bailey" moment when I finished reading them (and there were almost 150!). I realized that we are very rich indeed, and blessed with families who love us, and so many special friendships. Going to the mailbox this time of year is a much anticipated part of the day. It's so wonderful to receive photos, warm wishes, and blessings from so many people who are a beautiful part of our lives! Ours is a truly wonderful life!